Criticizing specific Israeli policies is certainly not anti-Semitic. Indeed many Israelis are critical of some of their nation's policies. But support for Hamas is anti-Semitic, because Hamas' policies and actions are based, at their core, on Jew-hatred. Yet many prominent individuals, some out of ignorance, many more with full knowledge of what they are doing, are overtly supporting Hamas. Some have even praised it. Others, like Italy's most famous philosopher, Gianni Vattimo, are trying to raise money and provide material support to this anti-Semitic terrorist organization. Still others refuse to condemn it, while condemning Israel in the strongest terms. Hamas has been looking forward to implement Allah's promise whatever time it might take. The prophet, prayer and peace be upon him, said: The time will not come until Muslims will fight the Jews; until the Jews hide behind rocks and trees, which will cry: O Muslim! there is a Jew hiding behind me, come on and kill him! This should not be surprising news. Hamas is a wholly owned subsidiary of the Muslim Brotherhood, which is an outgrowth of the German Nazi Party. The brotherhood was founded in 1928 by Hassan al-Banna, a close ally of Adolf Hitler. It worked hand in hand with Hitler during World War II, establishing the Muslim Waffen-SS Handschar division, which committed war crimes against Jewish communities. It then helped to rescue Nazi war criminals following the defeat of Nazism and the disclosure of the Holocaust. 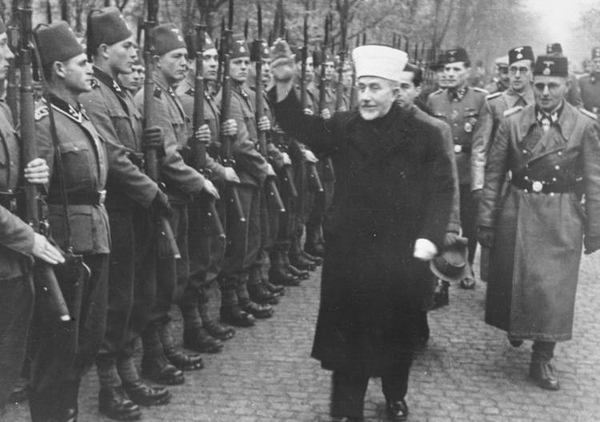 Amin al-Husseini, the Grand Mufti of Jerusalem, inspects Bosnian volunteers of the Muslim Waffen-SS Handschar division in 1943. Nor is the charter and the origin of Hamas merely past history. Current Hamas leaders frequently invoke the "blood libel," accusing "the Jews" of killing Christian children and using their blood for the baking of matzo. They regard Jewish places of worship and Jewish schools, anywhere in the world, as appropriate targets for their terrorist attacks. Some of those who support Hamas, such as Jimmy Carter and Mary Robinson, claim that they support its political goals, but not its anti-Semitic policies. (We must recognize "its legitimacy as a political actor".) Others, such as the Turkish Foreign Minister and the leaders of Qatar, support its military goals. (We support the Palestinian Resistance Movement Hamas "because it embraces the Palestinian cause and struggles for its people.") These distinctions hold no water, since Hamas' anti-Jewish policies are central to its political and military actions. Some supporters of Hitler made the same argument, claiming that the Nazi Party and its leaders espoused good economic, educational and political policies. No reasonable person today accepts that excuse, and no reasonable person should accept the excuses offered by supporters of Hamas who claim to be able to slice the bologna so thin. The same is true for those who argue that Hamas is preferable to ISIS or other Jihadist groups that might replace it. A similar argument was made by fascists who claimed that their parties were preferable to the Communists. The reality is that Hamas is an anti-Semitic organization, based on a Jew-hating philosophy, with the goal of destroying the nation state of the Jewish people and killing its Jewish inhabitants. It is evil personified. There is no excuse or justification for supporting Hamas, and anyone who does is supporting anti-Semitism. Some Hamas supporters — such as those who chant "Hamas, Hamas, Jews to the gas" — proudly acknowledge this reality. Others, such as Cornell West, who according to the American Spectator "headlined a high profile pro-Hamas demonstration," deny it. But all are complicit, even if they are themselves Jewish or have Jewish friends. Supporting an organization that at its core is anti-Jewish and whose charter calls for the killing of all Jews is anti-Semitic in effect if not in intent. And those politicians, academics, entertainers and others who support Hamas — and there are many — must be called out and condemned, as Roger Waters of Pink Floyd has been. So must those, like Navi Pillay, the head of the United Nation's Human Right Council, who see a moral equivalence between this anti-Semitic terrorist group and the democratic nation state of the Jewish people. She demanded that Israel share its Iron Dome system with Hamas, without condemning Hamas for using Palestinian civilians as its own Iron Dome. "Have no mercy on the Jews, no matter where they are, in any country. Fight them, wherever you are. Wherever you meet them, kill them . . . and those Americans who are like them, and those who stand by them." I'm quite certain the real Nelson Mandela never made any comparable statement. Yet Bishop Tutu, who refused to sit on the same stage as Tony Blair, has worked hand in hand with murderous Hamas leaders such as Halabiya. Jimmy Carter argues that Hamas is a "political force" that has received widespread support among Palestinians. So was the Ku Klux Klan in the 1920s in much of the South. Would Carter have accorded legitimacy to the KKK? It may be necessary to negotiate — directly or through intermediaries — with Hamas, just as one "negotiates" with kidnappers, hostage takers or extortionists. But to "recognize" their "legitimacy," as Jimmy Carter and Bishop Tutu would do, is to recognize the legitimacy of anti-Semitism. Carter, Tutu and other Hamas cheerleaders may be willing to do that, but no reasonable person who hates bigotry should legitimate Hamas' anti-Semitism or its express goal of destroying Israel and killing its Jewish inhabitants. Anti-Semitism is nothing more than the obscene notion that no one is allowed to question, criticize, or disagree with a certain privileged group. It is paralleled by application to American blacks, for which violation one would be labeled "racist" instead. No culture or race is above and beyond human discourse; to place themselves beyond human discourse is to relinquish their own humanity and the protection inherent in law. Further, to demand that culture or race as personal attributes should also be beyond anyone's consideration is itself a form of mental and political tyranny. No free person should stand for another to demand his thoughts be limited away from a particular notion or observation. Race and culture, stereotype and mindset are as legitimate points of discussion and discrimination as any other requirement of the problem under consideration. Yes, it's harder than slavishly cleaving to grade school principles or calling someone "Nazi". But freedom of thought is worth millions of lives to defend, and without it, there is no freedom for anyone. I personally have stopped traveling to any European / foreign country that mistreats their Jews, or allow the savages amongst them to do so. I personally have stopped buying products from any foreign entity that allows their Jews to be treated cruelly, allows crimes against Jews to go unpunished, or let their cowardly conduct inflict harm to any one who is Jewish. "Criticizing specific Israeli policies is certainly not anti-Semitic." In practice however, 99% of the time it is simply the Politically Correct form of antisemitism. "Indeed many Israelis are critical of some of their nation's policies." Many citizens of the UK disagree with our nation's policies too, mostly self-hating guilt tripped middle-class pseudo-intellectual "Liberals", often "academics". "The time will not come until Muslims will fight the Jews; until the Jews hide behind rocks and trees, which will cry: O Muslim! there is a Jew hiding behind me, come on and kill him!" Does Hamas employ invisible ventriloquists to fool the credulous? How can anyone who is not suffering a serious loss of faculties,wish to ally him/herself with the purveyors of such singularly evil stupidity ? Why is it now fashionable and almost obligatory to denounce the Middle East's only functioning democracy? Why do we wish to sacrifice ourselves,our values and our way of life to these thugs? Is it guilt? Why should we feel guilty? Is it perhaps no more than a transfer of prejudice - which after all, never goes away, merely mutates - to a now acceptable target? Will the 'Protocols of the Elders of Zion' soon find itself on school curricula in accordance with politically correct 'inclusive' diktats? We need a wake-up call and soon. Support of any group, who's purpose is to disallow Jews' self determination IS Anti-Semitic. There is no wiggle room here. Antisemitism is ingrained in the DNA of the Western world like a 2,000 year old "quasi" "mutation" and a 1,300 year old "quasi" "mutation" in the Muslim world. The "dominant gene" confers to the mentally affected individual an innate feeling of hate for anything that is Jewish. Many Jews have caught "the mutation" as well and are typically on the left or even far left and are called Jew-haters. Remarkably this syndrome manifest itself in believers and non-believers. 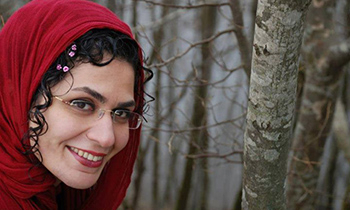 Many secular individuals harbor identical symptoms. Typically these affected individuals are either uninformed, misinformed, ignorant, biased or simply ignorant of their antisemitism! This is a HUGE problem! When I heard Professor Dershowitz in Philadelphia on a forum exposing J Street I was impressed with everything in the movie. When we had the Q & A I couldn't believe this was the same person. He was totally inconsistent on the right of a Jew to live in liberated Judea and Samaria and he saw the Palestinian Authority as a viable peace partner. His response to the boos which he encouraged was "go live there." Professor Dershowitz is a brilliant lawyer and he's an eloquent spokesman for Israel until you talk about Judea and Samaria. Hamas is anti-Semitic, and more than this it is anti-Western civilization. Hamas' war against Israel is part of a larger radical Islamist jihad against Western civilization. But while Israel is fighting Hamas, Western civilization is not fighting against radical Islamist jihad. This is because the West has been duped by the Trojan horse of UN condemnations of Israel, which leads the West to believe that radical Islamist jihad is directed only against Israel and not against Western civilization. In fact, the UN condemnations of Israel are an indictment of Western crusade and colonialism at the UN, so that when the West joins in the UN condemnation of Israel through anti-Semitism; it is actually admitting guilt for crusade and colonialism through the UN against the rest of the world. The West and Israel could fight this international campaign to defeat Western civilization by ending UN condemnations of Israel, not going along with the Israeli-Palestinian conflict; and instead applying a strict construction of the UN charter that will move the world away from western crusade and colonialism so that there will be little or no reason for such an anti-Western attitude at the UN and also no reason for condemning Israel at the UN. But just like the Trojans pulled the wooden horse into the city, thinking it was some kind of peace offering or offering to the gods, from which fighters could then open the gates from inside the city and let the Greek army into the city to destroy it; so now Western civilization has pulled the Israeli-Palestinian peace process and UN condemnations of Israel into their culture and civilization, believing it to be the path to world peace or global unity under God. I only hope Western civilization will come to its senses and get rid of the Israeli-Palestinian peace process and UN condemnations of Israel that are carrying radical Islamist jihad against Western civilization before it is too late. Dershowitz really nailed it with this article. It sickens me to see fellow Jews in Israel and other countries protesting in favor of Hamas. I am calling for the Aviv bakery in Israel to bake a batch of Matzohs with cherry flavoring and color and send a few boxes to Hamas. It will give them something to think about. Within the four corners of Prof. Dershowitz's comments, I am with him 100%. The trouble is that he has become too enamoured of the leftist pap. Terrorism in particular, and Jew hatred in general, are all rooted in envy. Liberalism is rooted in the fear of being envied. The fear of being envied has saturated the Jewish experience after thousands of years of surviving every adversity the world has to offer. Example: The use of phrases such as "Kein Ayin Hora" ("no evil eye" in English equivalent) in common everyday parlance. For too many Jews, this fear of being envied has mutated into sympathy and identity with those who wish to destroy us. Mr. Dershowitz's infection with this has long manifested itself in many of his other writings and pronunciamenti. That said, I applaud this particular writing of Professor Dershowitz. Can anyone convince an anti-semite to convert to an unbiased individual? And, if so, how ? Anti-semitism is thousands of years old. And the more we progress, the more we regress. Even when there was no such thing as the social media, anti-semitism was very much alive. It is a cultural thing, passed on from generation to generation. Case in point, Palestinian children brain washed to hate the Jew and practicing to kill the the Jew with toy rifles. This is now, which means a whole generation to contend with. And so on , and so on! How does one break this link? How does one convince an anti-semite? I have the greatest admiration for the razor sharp commentaries of Alan Dershowitz. As for Gatestone, I have never read more intelligent, cosmopolitan, and straight-to-the-heart articles on Israel and Jewish history. We are dealing with the death rattles of liberalism in a bipolar world. An ignorant population is still bathing comfortably in the disinformation campaigns from the Nazi and Soviet eras. According to the former head of Romanian intelligence, Arafat himself was a Soviet-trained terrorist operative instructed to use anti-Jewish and anti-Israeli tactics to attack America whose lawmakers the Soviets regarded as the true Elders of Zion. See the recent publication: "Disinformation" by Lt. Gen. Ion Mihai Pacepa and Prof. Ronald Rychlak. Then why on earth would Mr. Dershowitz support a two-state solution giving the fabricated "Palestinians" their own state in the West Bank? THAT position is misguided wishful thinking and would be suicidal for Israel. I applaud Professor Dershowitz for pointing to the intimate connections between the Muslim Brotherhood and the Nazis. Prof Dershowitz is also correct in saying that criticizing Israel is not necessarily antisemitic, but this particular concession should not cause us to imagine that criticizing Israel can "never" be antisemitic. The State of Israel now houses the world's single largest Jewish community. More than 75% of Israel's population is Jewish, and Israel is the national home of the Jewish People. Thus, normal modern human-rights methodologies have no trouble rejecting the fiction that the topic of "Israel" is like a compartment watertight from the topic of "Jews" and "the Jewish People." The evident reality is that hateful and discriminatory words and deeds that harm Israel obviously do hurt Jews. In this specific context, we can readily understand that within the framework of modern human-rights methodologies, the meaning of "antisemitism" also includes persistently targeting Israel and persistently applying to Israel a standard more exigent than regularly applied to other countries, in the same or similar circumstances. The bottom line is that persistent discriminatory treatment of Israel is a human-rights violation. I agree, anyone who supports Hamas is an anti-Semite and I would take this one step further to say that anyone who supports Islamists in general is anti-civilization. I especially dislike the Jewish leftists who march with those who want them dead on the streets of America and Canada. To strengthen their strategic objectives, the jihadists use these dhimmi fools for their own purposes along with heavy doses of al-taqiyya. They will deal with those same people at a later date but for now the useful idiots come in handy. There are only two types of western critics against Israel. The first might be 'well-meaning', but a complete fool is not anti-semitic. The second is antisemitic in thought, word and deed. It is not just anti-Semitic but for anyone who is not a Muslim, supporting Hamas is suicidally idiotic. "Initiatives, and so-called peaceful solutions and international conferences, are in contradiction to the principles of the Islamic Resistance Movement. ... There is no solution for the Palestinian question except through Jihad. Initiatives, proposals and international conferences are all a waste of time and vain endeavors." I concur wholeheartedly with your editorial comments in regards to Hamas specifically and radical Islamists in general. My co-author and I decry the inability of our military leaders to define these enemies of freedom in our book Fighting Today's Wars. What also perplexes me is why otherwise bright and culturally elite American Jews seem to vote lock-step with the Jimmy Carters and Barack Obamas of the world - politicians who are no friends of Israel or the Jewish peoples of the world? Like most liberals, Professor Dershowitz is careful to separate anti-Semitism from what he considers to be legitimate criticism of Israeli policies, and who would disagree with that? But I didn't see any evidence of his analyzing the Hamas-Israel conflict as a typically violent and brutal episode in the transition to modernity (the latter embodied in Israel, and opposed by Hamas and its jihadist sympathizers. I tried to show this fear of modernity and all it applied here. This essay is based on hitherto restricted materials in the Bunche papers at UCLA. Well said Alan, I agree entirely, Israel is certainly not perfect (perhaps I should add "yet"). Israel is in a very difficult predicament with anti-semitism once again on the rise. Characters like Desmond Tutu however do not represent true Christian viepoints on many issues and can be better be described as the views of an apostate Christianity that long ago digressed from the teachings of tthe Bible in favour of political correctness and liberalism. For example, the Archbishop recently publicly stated that if heaven is homogenic then he doesn't want to go there, no doubt indicating his approval of the gay lifestyle that the Bible clearly condemns as unnatural and sinful. Jesus Christ was born a Jew, Son of David and openly criticised the leadership of his time for their greed and wickedness and was executed by the Romans at their request. A true Christian understands that this had to happen to deal with the sin problem and will not blame the current Jews for this. I believe that I speak for many Christians who would rather stand with God on this one and bless Israel despite their faults, in order to be blessed rather than cursing Israel and being cursed. Genesis 12 v3. We have to simply accept that the divide between good and evil is becoming wider and the worlds majority are in unbelief and have accepted the lies as truth. They have departed from God and can no longer recognise the truth that Israel's behaviour with regard to Hamas has been totally responsible and justifiable in the circumstances regardless of the rantings of the liberal humanistic, media, the Muslim dominated UN and other anti-semitic organisations and individuals regardless of their public status. May God Bless Israel and protect all truly peace-loving people of the Middle East and may God soon judge the terrorists and all of their supporters who are complicit by condoning their evil works.